Sales teams are more efficient and focused when their territories are managed well and aligned with the strategic goals of the company. With winning territories, leadership also gets more accurate performance and forecasting metrics, and increased employee satisfaction (with less turnover). 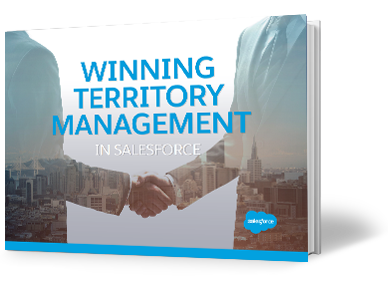 On of the questions we're asked most is: How can I best develop and implement my territory plan with Salesforce?